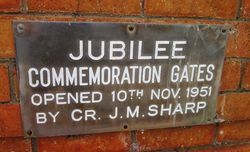 Memorial Gates form the entrance to the Tamborine Mountain Bowls Club and Memorial Centre and commemorate the 50th anniversary of Federation. The Federation of Australia was the process by which the six separate British self-governing colonies of Queensland, New South Wales, Victoria, Tasmania, South Australia, and Western Australia formed one nation. When the Constitution of Australia came into force, on 1 January 1901, the colonies collectively became states of the Commonwealth of Australia. They kept the systems of government that they had developed as separate colonies but also would have a federal government that was responsible for matters concerning the whole nation. 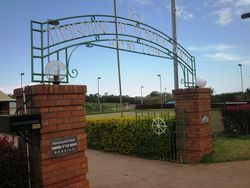 On Wednesday night the monthly meeting of the Tamborine Mountain Memorial Centre was held in the club room, with an attendance of ten members. Permission was given the Tennis Club to erect a shelter shed at the southern end of the courts. 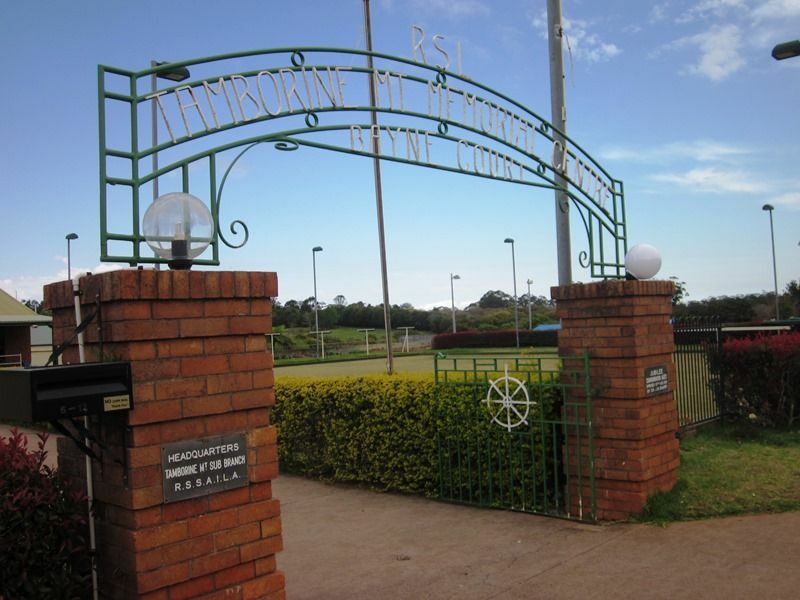 The secretary reported that the erection of the entrance gates would be completed by the end of the month. The Mountain's quota of the Commonwealth Jubilee grant is being used in the erection ot these gates and Clr. Geissmann asked that a sports day be arranged. Arrangements for the opening will be made at a later meeting. Beaudesert Times (Qld. ), 21 September 1951.